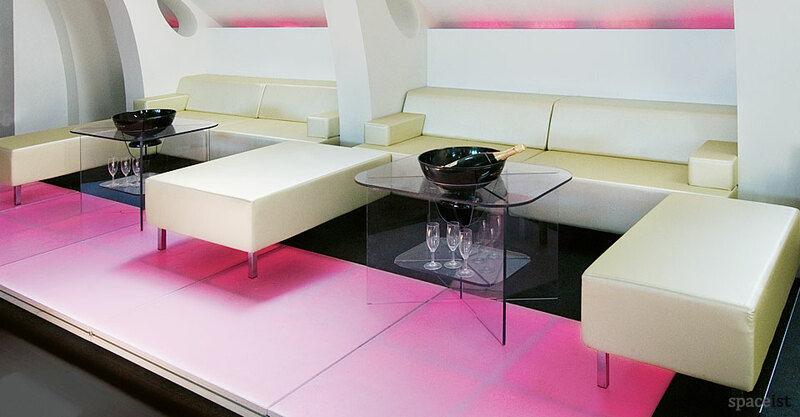 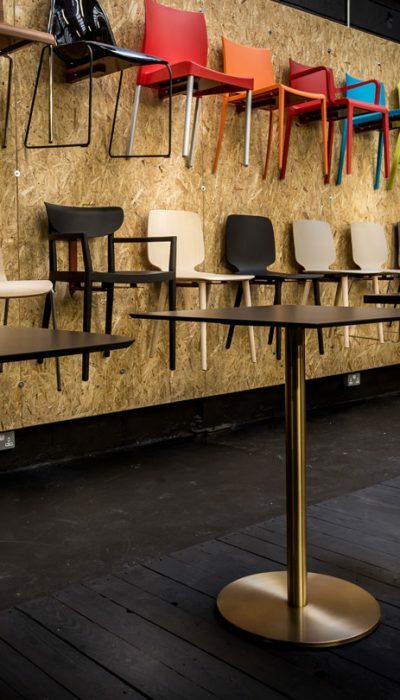 Metallic vinyl upholstery laid out in a continuous long seating block provides attractive segregated bar lounge bar areas. A single arm element as shown can be specified if required. 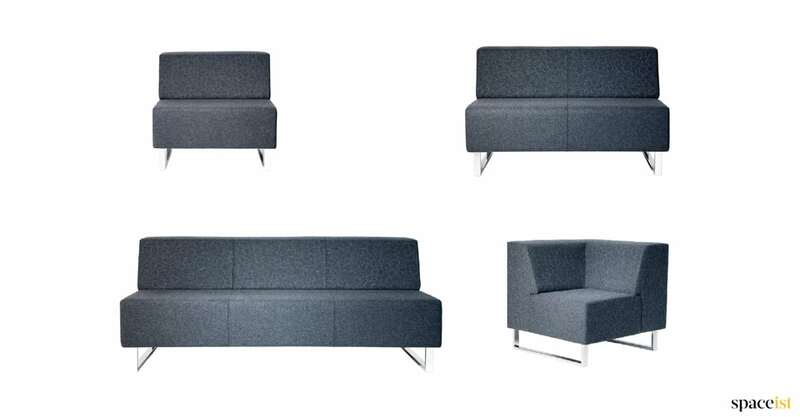 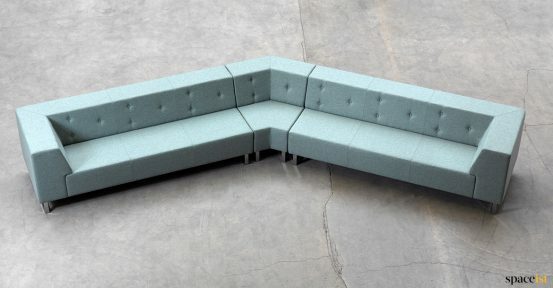 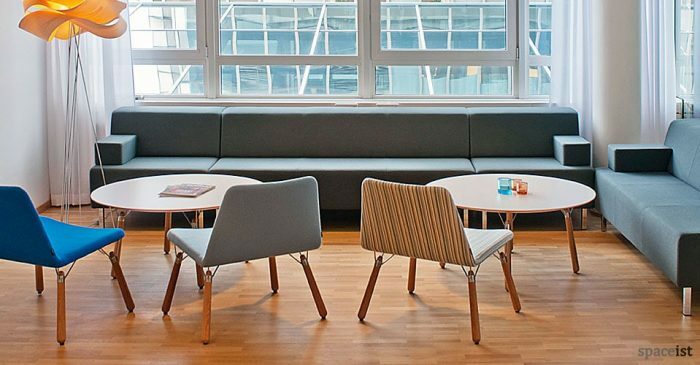 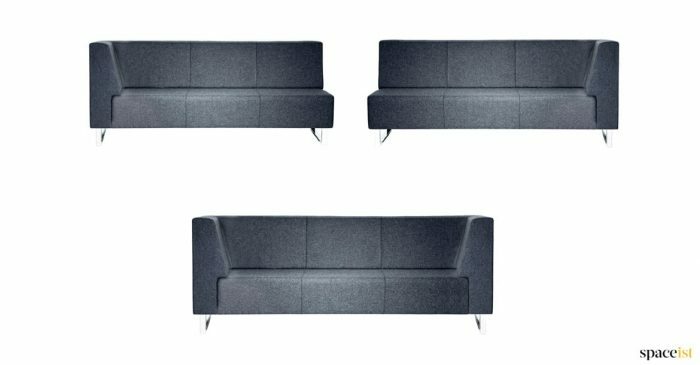 The Modular Sofa range is compact in size and can be supplied in 70cm depth for tighter spaces. 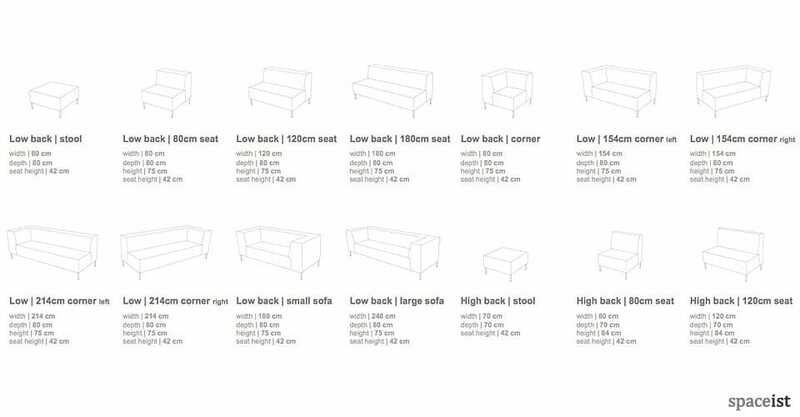 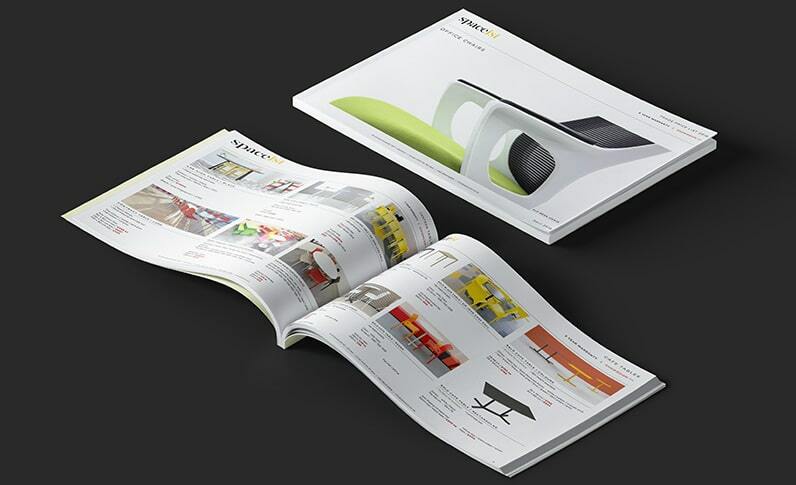 Seat height can be 46cm cm or 42cm for a low loungey feel. 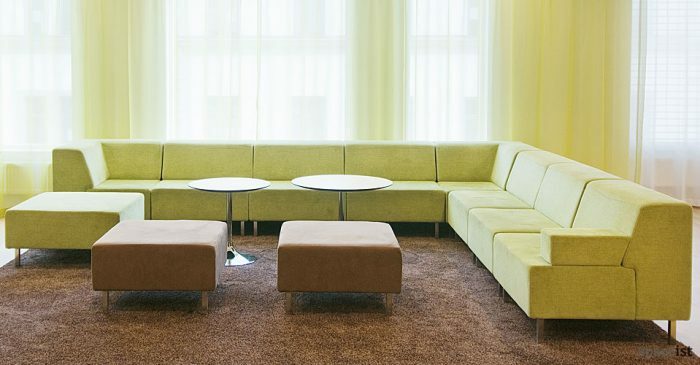 Long stripey sofa system can be upholstered in red, blue, orange or pink plus a large selection of fabrics & leathers.